Metrolink's Neil Brown shows PTC technology in a locomotive -- the computer screen at left is PTC. Photos by Steve Hymon/Metro. With the fourth anniversary on Wednesday of the deadly crash in Chatsworth in 2008 that killed 25 people and injured 135 — many critically — aboard a Metrolink train, transportation officials on Monday showed media the work they're doing to ensure that something similar never happens again. The technology is called positive train control, or PTC. It's a GPS-based system that tracks the movement of trains across the region and is capable of stopping trains before they run into trouble. Although PTC is found on a few other stretches of track in the United States, it's hardly widespread — although its implementation is mandated by 2015 by federal law for most rail providers (some of which are trying to push back the deadline). 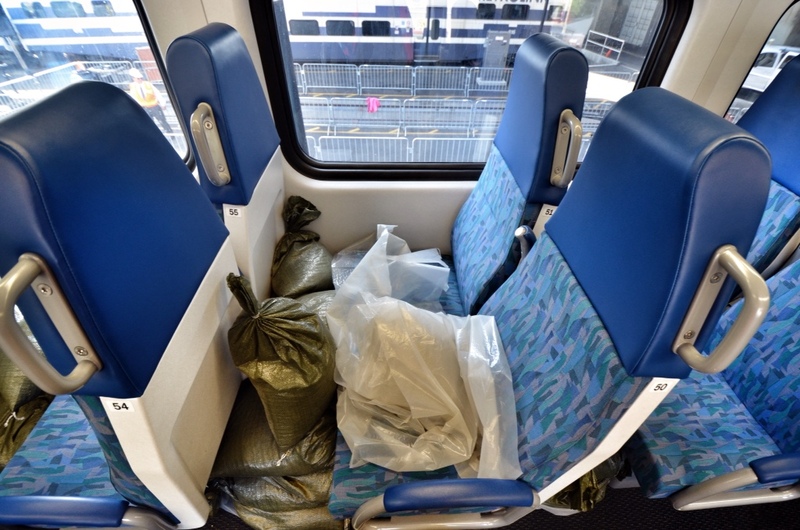 Sandbags are being used to simulate the weight of passengers on the Metrolink test train. 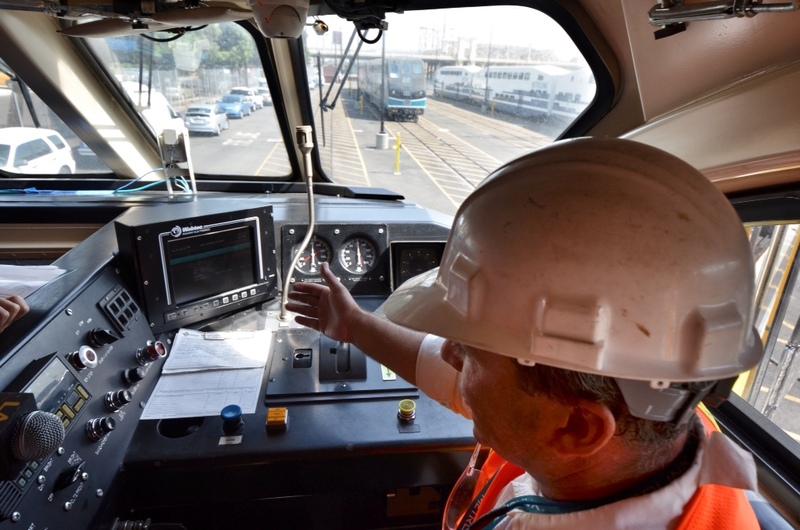 Metrolink has installed PTC technology on a test train — seen in the accompanying photos — that is presently being used after hours on tracks in the Inland Empire. In addition, several SUVs capable of running on railroad tracks are testing the technology on tracks throughout the region. Metrolink's goal is to have the system fully implemented by 2013. Metrolink Board Chair Richard Katz said, succinctly, that in the wake of the Metrolink crash, the agency is committed to becoming the safest in the nation. Metrolink has secured $201 million for PTC — money it cobbled together from a number of sources. It's a lot of work and is budgeted at costing about $210 million, which Metrolink has secured from local, state and federal sources. The plan is to put PTC technology on 52 cab cars, 56 locomotives and to install stop enforcement systems at 476 trackside signals. The equipment on trains and trackside, as well as in a central office, must be linked with a variety of communications technology. Metrolink is funded by Metro, on behalf of Los Angeles County, as well as the other four counties it primarily serves — Orange, Riverside, San Bernardino and Ventura. Metrolink is the third-largest commuter rail agency in the U.S. based on route miles and the seventh largest in terms of ridership. I give Metrolink credit for embracing PTC,even if it took a horrible accident to get them to change their safety culture.Almost 100 years ago, Pacific Electric, the main interurban transit company in L.A., had a horrible accident at their Vineyard station, resulting in 16 dead, and 200 injured. 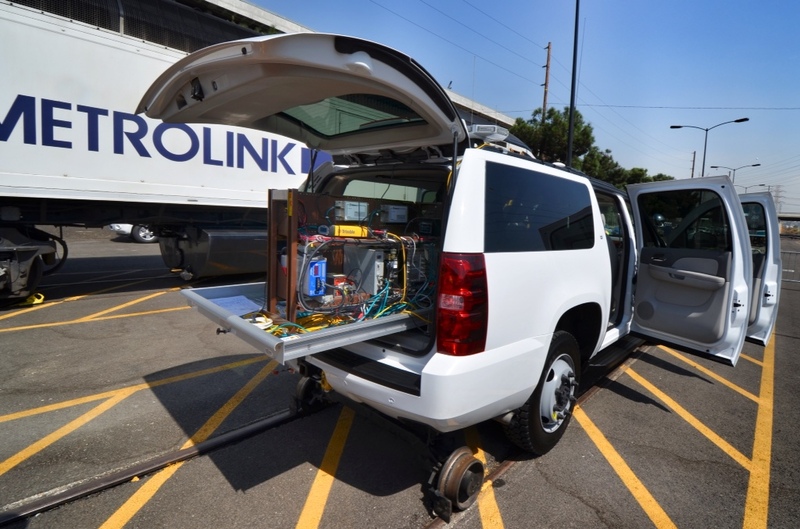 3 days later Pacific Electric spent $350,000.00 on on absolute block signals, which were safety wise, state of the art for safety.Do you notice the similarities? There are lessons to be learned from history. One would think that with PTC, the outdated FRA regulations prohibiting lighter, euro-style trains on main railway lines would be rendered unnecessary. If so, this would allow metrolink to finally move into the 21st century with regards to commuter rail operations. Instead of using heavy, inefficient trains, we could have light, nimble, high frequency trains with level boarding across the so-cal rail network. Of course, the funding for improving the system would have to be there, but at least this transit-crippling regulatory hurdle plaguing commuter rail in this country would no longer be an obstacle. Plus it would greatly reduce operating costs down the line as well. It’s worth noting that PTC is a slightly stronger version of what was once called “automatic train stop”. ATS was the top priority safety feature according to the Interstate Commerce Commission already in *1947*, and in that year (following a huge crash) they issued an order prohibiting speeds over 79 mph without Automatic Train Stop. Thousands of people die each year in auto accidents, so where’s the PTC requirement for all autos? Agreed with others… It is horrible that it took an accident for this to happen, but I am glad it is finally happening after, as others have said, DECADES of foot dragging.